Nandini: Welcome to the Jungle! 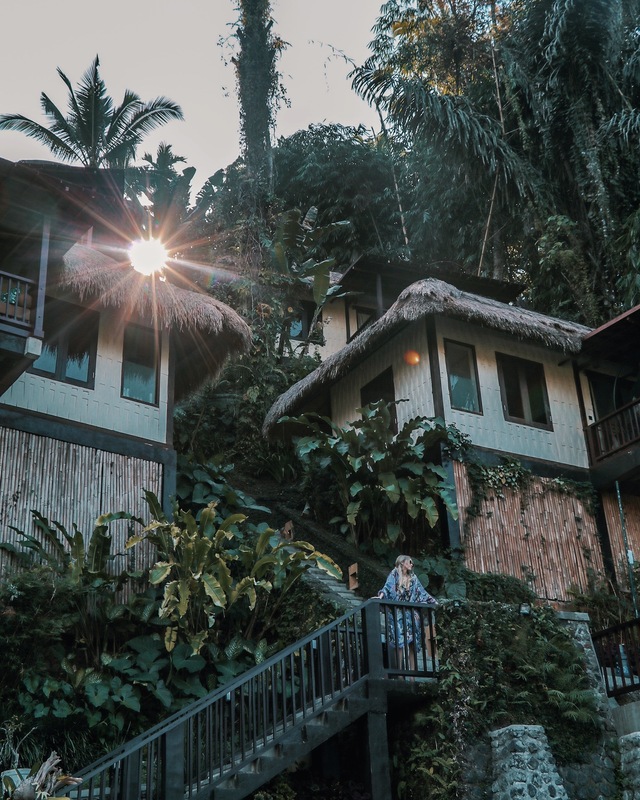 Bali offers different kinds of experiences and one of them is the jungle and if you want to experience the true jungle then you need to go to Nandini Jungle Resort. It is incredible! The hotel is approx. 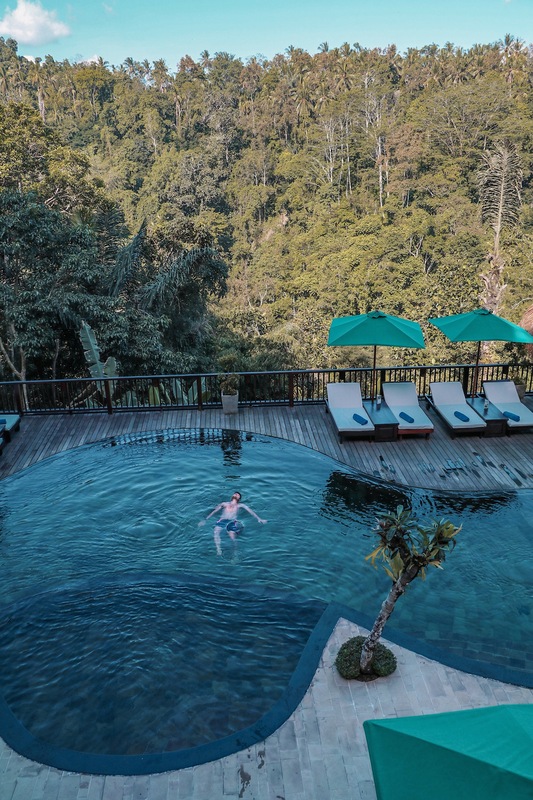 30 minutes north of Ubud and when you are getting closer you need to go up, up and up because the hotel is located 450m above the ocean. 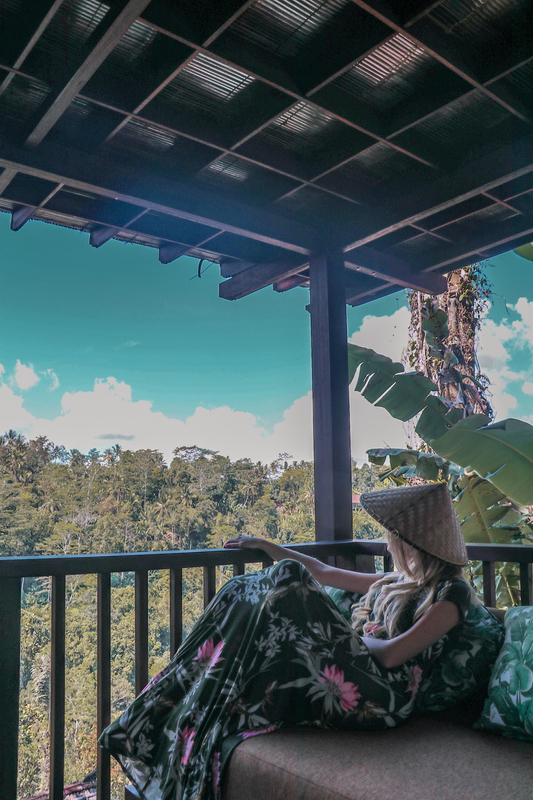 The rooms have an extraordinary view over the jungle and it is so peaceful to sit on the balcony and have a cool beer while listening to the sound of nature. 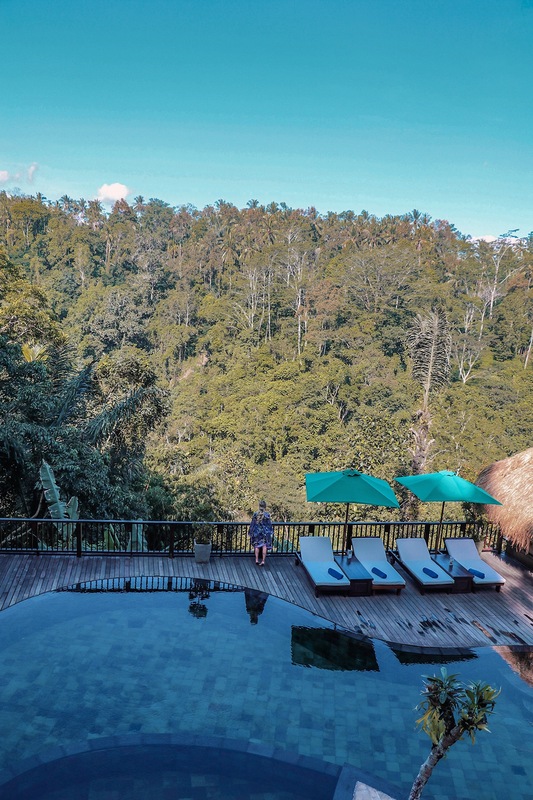 Our room was place relatively high up, so we could see across all the area. 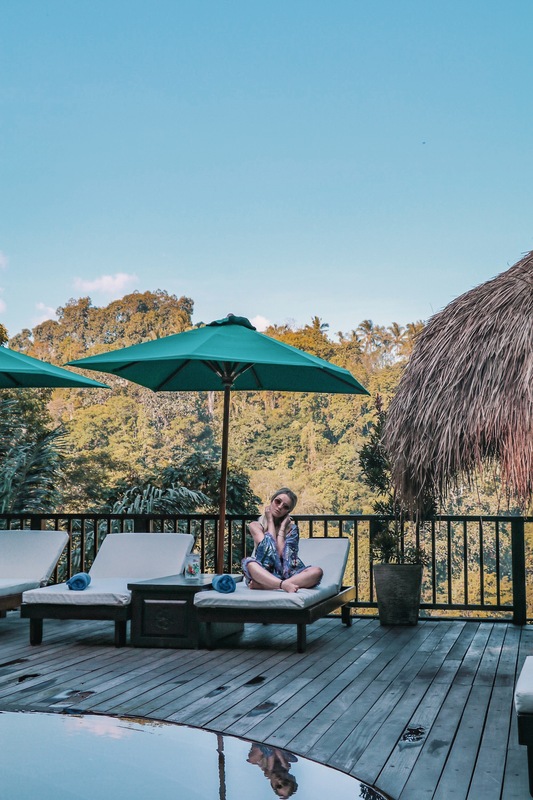 It is possible to really relax and disconnect at Nandini with daily yoga classes and trekking walks. We chose to borrow one the free bikes at the hotel go for a ride around the local area where we found temples, rice fields and a lot of peace. 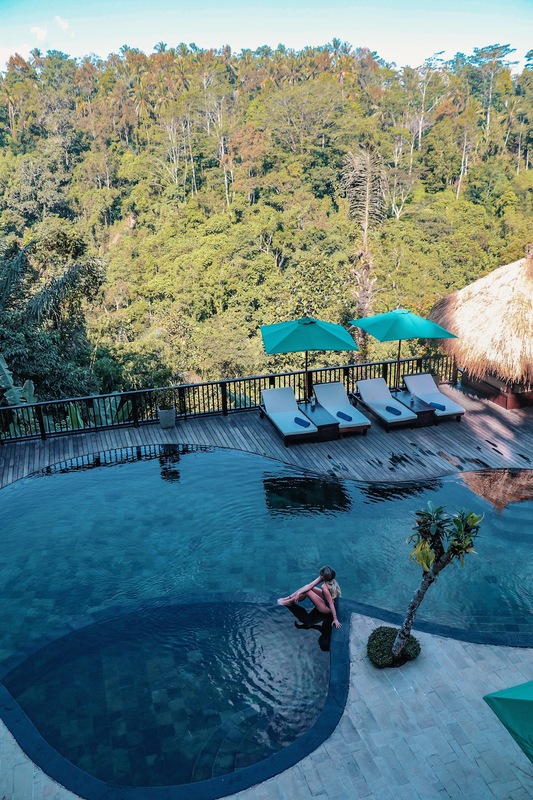 After our bike ride the first thing we could think of was to jump in the incredible pool at the hotel, it’s a great feeling to cool down under the water while looking around at the most tropical view you can imagine. 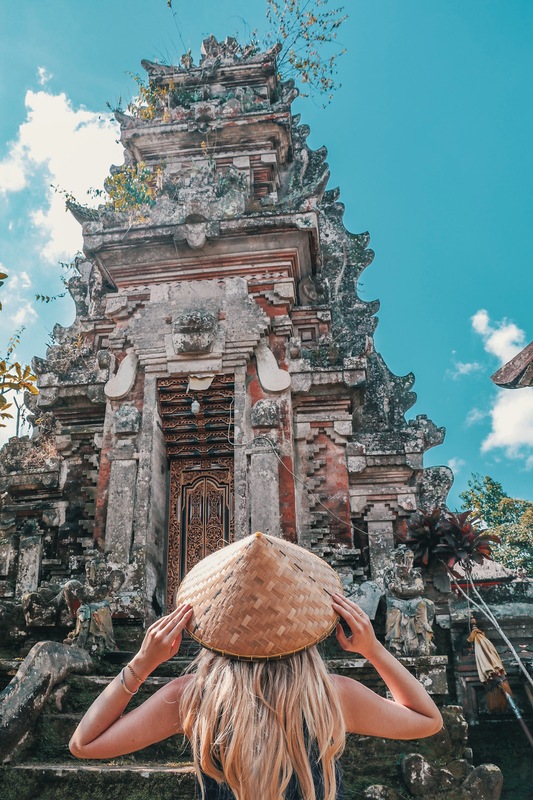 Although the location is quite remote it is still possible to reach many for the cool places of Bali from Nandini, we for example book a tour to the Tegallalang rice terrace which is only approx. 30 minutes away and can easily be combine with the volcano Mt. 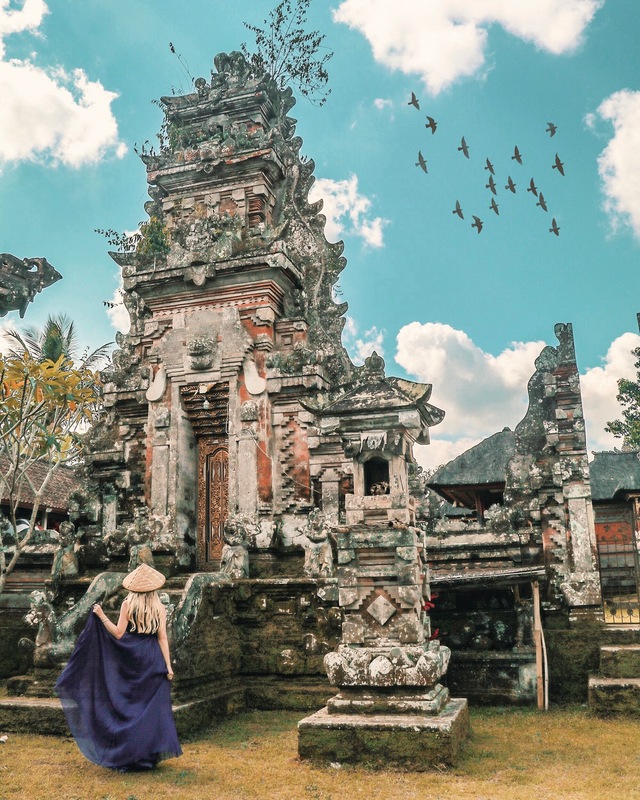 Batur in a half day tour. The staff at Nandini were very helpful when it came to arranging trips, transport etc. 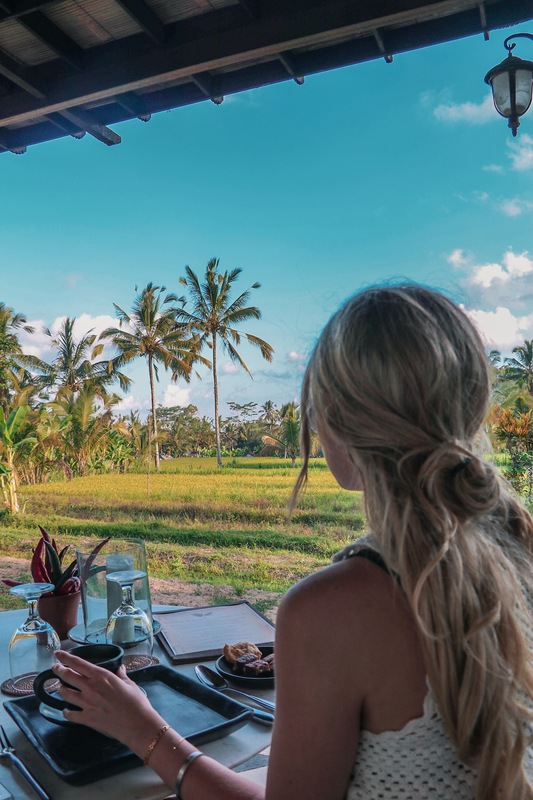 After spending a couple of days in Nandini we were fully reenergise and relax before continuing our Bali trip with more memorable experiences in the backpack.